The Bay, as we call it here in the Mid-Atlantic States, is a major destination for boating, fishing, and a wide array of water sports. It was once one of the most prolific estuaries in the world and produced large numbers of oysters, clams, shad, striped bass, and blue crabs. In fact, back around 1900 more oyster meat was consumed per capita in Baltimore than beef. But over the years the human population has grown dramatically, and we have over-fished and over-dumped our wastes into this extensive but now endangered wonder. I grew up on these waters and want to do what I can to restore them. I have learned that the biggest challenge today is the runoff of silt, nitrogen, and phosphorus from our backyards, our farms, and our development sites. Much of the rain that falls on the 6 states of the Chesapeake watershed does not soak into the ground today since we have paved over large portions of this area. The inability of the ground to absorb the water has resulted in flash floods that carry the debris and residue from our backyards, highways, and parking lots and dumps it into our rivers and the Bay. These extra nutrients produce algal blooms that block the sun from reaching the grass beds in the Bay which are critical areas for the growth of a wide variety of species. Furthermore, when the algae dies, it removes the oxygen from the waters resulting in dead zones. 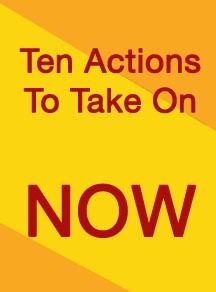 This is something we can manage better if we all care enough to take action. To restore the Bay, we will have to reduce the amount of fertilizer we use both on farms and in backyards. 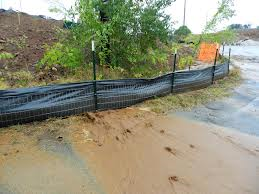 Also we will have to reduce the amount of impervious surfaces so the water filters into the ground once again. Many of us will have to put in rain gardens and plant more trees and shrubs instead of growing so much grass. These are steps that we all need to take to revitalize our land, streams, lakes, and ultimately the Bay. The good news is that after many years of debate and analysis, we have developed a plan that is working. 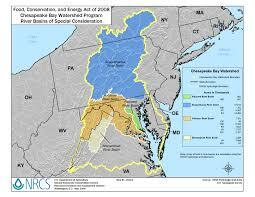 Organizations all around the Bay’s watershed are working together to implement the plan. It will require a major educational undertaking because the government cannot do it all by themselves – industry and private residents will have to do their part, and, it is doable. We need to stay on top of our relationship with our natural systems. As our population grows, it will continue to be a challenge to maintain the fine balance between development and a healthy natural infrastructure upon which we depend. By nedtillman in Oceans on October 1, 2014 .